Lovely, fresh gel mask with a delicious scent: you can use it as a rinse-off scrub to remove impurities and dead skin cells from the face, or you can leave it to work for a few minutes for a more refreshing treatment. 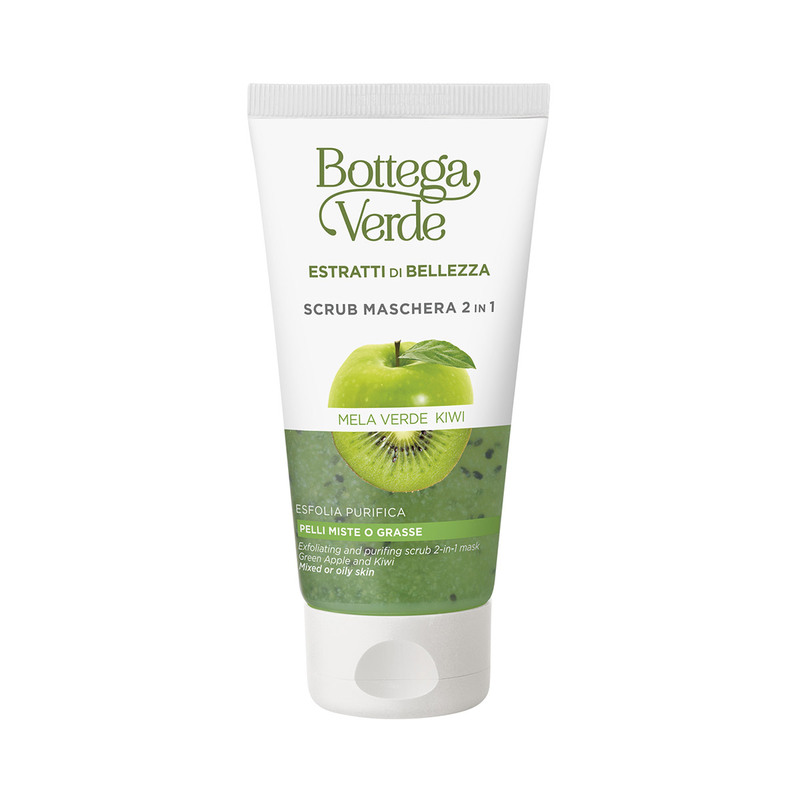 The special formula is like freshly-squeezed juice with its concentrated Green Apple and Kiwi juice and micro-granules of Rice and Kiwi for effective exfoliation... A veritable concentration of energy and beauty for your skin! 2-in-1 treatment to leave combination or oily skin looking radiant. You can use it as a rinse-off scrub to remove impurities and dead skin cells or you can leave it to work for a few minutes for a more refreshing treatment. WARNING: avoid the areas around the eyes and lips. Direction for use:How to use it: as a scrub, rub it into the skin for 1 minute, then rinse with warm water. As a mask, apply it to the face, leave for around 5 minutes then rinse off. Use 2 times a week to keep your skin looking wonderful! Suggestions:For everyone who needs some help to give their skin some radiance. Characteristic:Green gel enriched with a rice and kiwi scrub. Choose it if you want a product that contains no parabens, formaldehyde releasers or mineral oils.